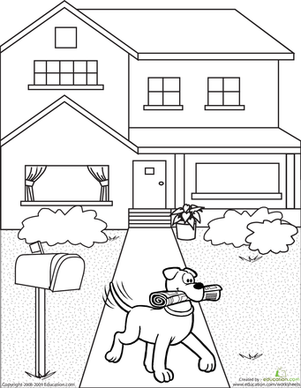 In this fun coloring page, the pooch has got the paper! Your child will love coloring this neighborhood scene, and she'll be working on important fine-motor skills as she goes, too! 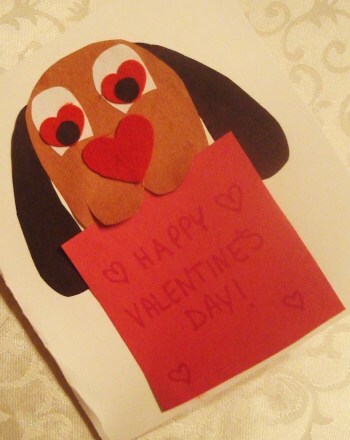 In this worksheet, Tutu demonstrates the Dog Pose. Kids can color in the picture, and practice this yoga pose along with her. 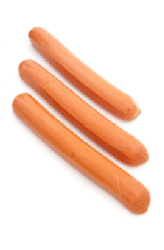 Where did this little dog get her funny name? 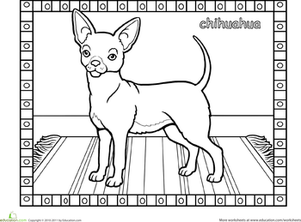 The chihuahua in this coloring page was named for the state of Chihuahua in Mexico. Explore the circle of life with this informative coloring sheet! 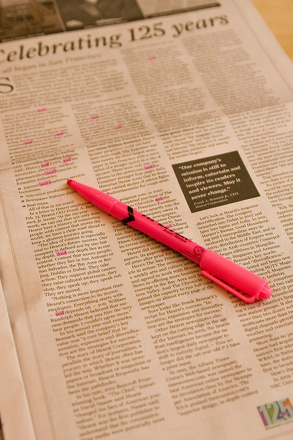 Help your student color and learn the names of each stage of a dogâs life. 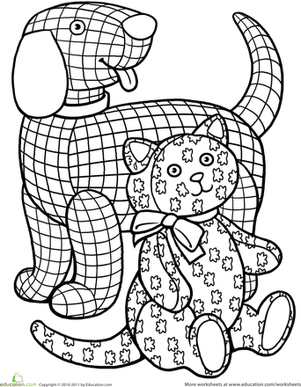 This coloring page features the Prairie dog, part of a cute rodent family reading for your child to color! Buddy the dog wants to play fetch, but he cant find his favorite tennis ball! Can your child help Buddy find his way through the maze to get his ball?